The Fool 100 was developed by The Motley Fool to define and track the largest, most liquid U.S. companies that have been recommended by the Fool’s analysts. The Fool 100 is reconstituted quarterly, at which time each company’s share of the index is set to equal the company’s share of all index companies’ aggregate market value (the “Weighting Date”). The index is calculated to capture both price appreciation and total return, which assumes dividends are reinvested into the constituents that issue them. To be eligible for inclusion in the Fool 100, a company must among the 100 largest, liquid domestic firms in The Motley Fool’s recommendation universe. That recommendation universe includes all companies domiciled in the United States and are either active recommendations of a Motley Fool research publication or rank among the 150 highest rated U.S. companies in the Fool analyst opinion database, Fool IQ. Liquid firms are those that have traded at least $1 million worth of shares daily, on average, during the preceding three months. Common stocks, REITS, tracking stocks and holding companies are eligible for inclusion. ADRs, GDR, EDRs, Preferred Stocks, closed-end funds, exchange-traded funds and derivatives are not eligible. The Fool 100 is calculated every weekday. If trading is suspended while one of the three major exchanges is still open, the last traded price for that stock is used for all subsequent index computations until trading resumes. If trading is suspended before opening, the stock’s adjusted closing price from the previous day is used to calculate the index. Until a particular stock opens, its adjusted closing price from the previous day is used in the Index computation. Index values are calculated both on a price and total-return basis, in U.S. dollars. The price Index is updated on a real-time basis, while the total return Index is calculated and disseminated on an end-of-day basis. The Fool 100 is a market-capitalization-weighted index, consisting of the 100 largest domestic companies from The Motley Fool’s recommendation universe. Each component’s weight on the Weighting Date reflects the component’s share of all index companies aggregate market capitalization. The Weighting Date is the second to last Monday of each Fiscal Quarter. These weights take effect on the first trading day of each quarter, the Reconstitution Date. Normal dividend payments are not taken into account in the price index, whereas they are reinvested into their issuing components in the total return index. 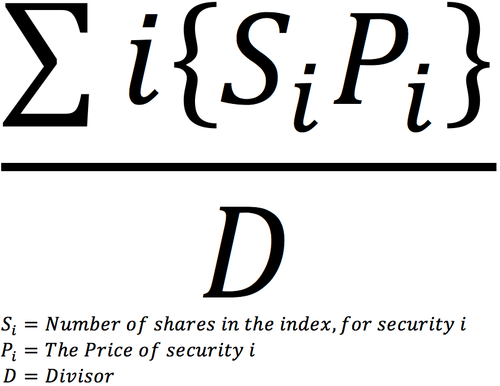 Special dividends require index divisor adjustments to prevent the distribution from distorting the price index. In the event a component company issues multiple classes of common stock, the specific shares recommended by The Motley Fool will be used. If both share classes have been recommended, or if neither is specified over the other, the most liquid share class will be used. Index maintenance includes monitoring and implementing the adjustments for company deletions, stock splits, stock dividends, spin-offs, or other corporate actions. Some corporate actions, such as stock splits, stock dividends, spin-offs and rights offerings require changes in the Index shares and the stock prices of the component companies. Additions to the index are made at the quarterly reconstitution, according to the inclusion criteria defined above. No additions are made between reconstitutions, except in the case of certain spinoffs and acquisitions, as defined below. If a component company is delisted, it is deleted from the index and weights of remaining components are adjusted proportionately. If one component company is acquired by another, treatment varies depending on the terms of the deal. If stock is used, the acquiring/surviving company’s share of the index will be increased, to reflect the terms of the deal and the value of the acquired company. If cash is used, the value of the target company, based on its last close price, will be distributed pro-rata across the remaining index constituents. If a combination of cash and stock are used, the cash portion of the deal will be distributed, pro-rata, across the remaining constituents, and the acquiring company’s share will be adjusted based on the stock portion of the deal. If a component company is acquired by a non-component company, the value of the target company will be distributed, pro-rata, to the remaining constituents based on its last close price. If a company is spun-off from an existing component company, it is allowed to stay in the index until the next quarterly reconstitution. Changes in the Index’s aggregate market capitalization, due to changes in composition, weighting or corporate actions will result in changes to the index’s divisor. Corporate actions that require divisor adjustment will be implemented prior to the opening of trading on the effective date. In certain instances, where information is incomplete or if the action is announced too close to the ex-date, the adjustment will be implemented at the close of the following day, or as soon as practical thereafter. For corporate actions not described herein, or combinations of different types of corporate events and other exceptional cases, The Motley Fool reserves the right to determine the appropriate implementation method.